Ecumenical Youth Council in Europe → EYCE News → EXTENDED DEADLINE: training course “From Vision to Reality!” in Bratislava! EXTENDED DEADLINE: training course “From Vision to Reality!” in Bratislava! In 2012, one in four persons in Europe were at risk of poverty and social exclusion. That’s 124.8 million Europeans. Economic indicators only partly explain this situation. There are strong links between social exclusion and crime as well as drug addiction and health issues. Worryingly, children experience the deepest levels of social exclusion. In today’s society, young people want to learn more about these issues, and more importantly, they can make a difference. You can be one of them. You can make a difference. To apply please fill in the application form and send it to applications@eyce.org or by fax +32 2 510 61 72. Deadline for receiving applications: 5th March midnight CET! The participation fee will be 50 € (Euros) including accommodation, meals and the programme. less than 2 weeks prior to its beginning. The travel expenses can be reimbursed according to the EYCE policies. This means up to 90% reimbursement of costs depending on the country you are coming from. For details please see here. Please do not buy any tickets prior to the confirmation of your participation, agreement with EYCE office and visa acknowledgement (if applicable)! We also advise you to look for alternative ways to support your travel costs! Please note that a health insurance is NOT arranged by EYCE! Some of you may need a visa to enter Slovakia! Please check immediately with the Slovak Embassy or Consulate in your country whether this is the case and see here about the details of procedure. 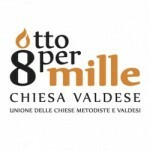 The training course is supported by the Council of Europe and Otto per Mille. ← First issue of “SEE. ACT. CHANGE.” is out! Enjoy reading!